I spent my 20s in the service industry, overworked and underpaid. Why, now, do these games help me relax? I love time management games. They don't get a lot of press, and I can probably guess why: they're mobile games, they're aimed directly at women, and they star characters that are almost exclusively female. 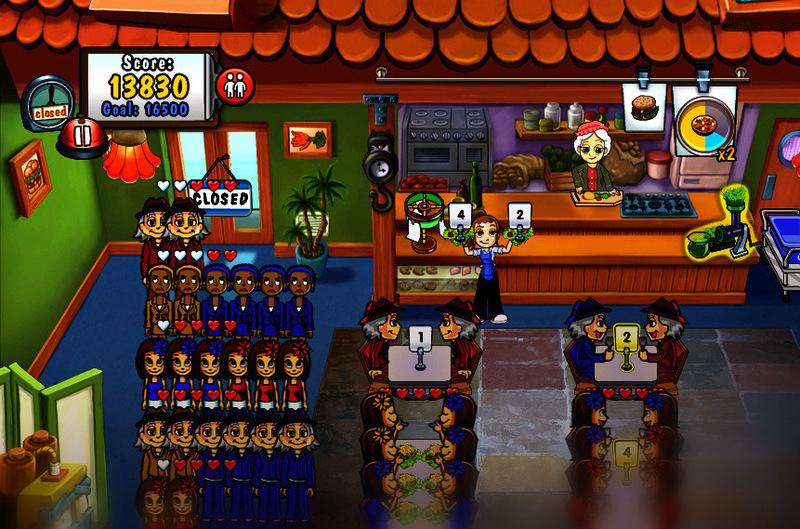 But there's something else that sets time management games apart: they simulate jobs in the service industry. Rather than making you a celebrity or a princess, they ask you to step into the shoes of a far more down-to-earth woman: a waitress, a hairstylist, a wedding planner, a cook, a cashier, a flight attendant. They're strategy games not about building armies but about multitasking at work; typically, you play as a young woman who's starting a new job for the first time, and has to serve a mad rush of customers with increasingly complicated demands. They're frenetic experiences where your character is always on the go, always juggling a million things at once, and always trying to make everyone happy. Lose focus for a moment, and it's easy for things to spiral out of control. Even their names feel frantic: Diner Dash, Cooking Dash, Airport Mania. I've logged a lot of years in the service industry; most of my 20s were spent working as a cashier, barista, or assistant. Although I consider the time I spent there, the people I worked with and served, and the skills I acquired to be valuable, I can also say with certainty that they were the jobs where I was both paid and respected the least. And yet since I've become a writer, I've developed an odd compulsion to play time management games, particularly during times when I felt stressed out at my job. It seemed strange to me, when I thought about it. Why did I want to play intentionally stressful games that simulated the exact work experiences where I'd once felt so underpaid and undervalued? And why the hell did playing them make me feel so relaxed? 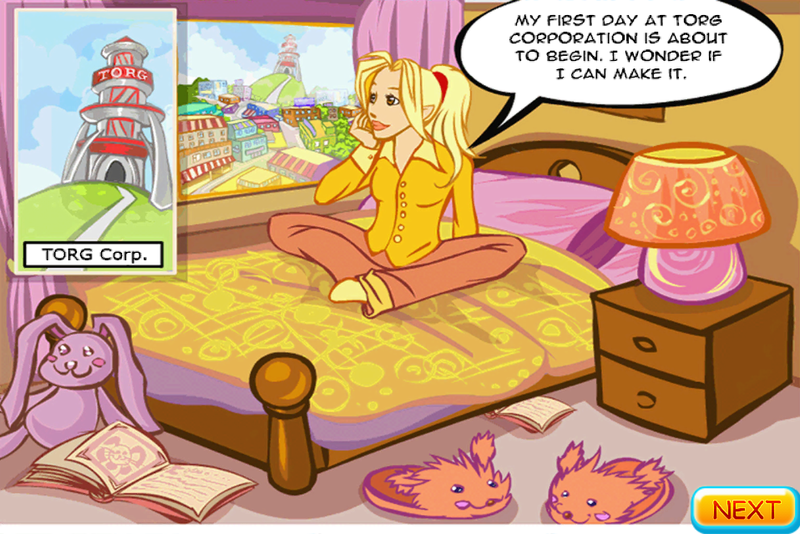 In one of the most popular time management games, Sally's Salon, you're a woman of many hats: entrepreneur, masseuse, stylist, manicurist and cashier. When people arrive at your salon or spa, it's your job to move them from station to station, administering beauty treatments like facials, massages and manicures. Some of the games have slightly stranger narratives—Supermarket Mania is about constantly restocking a store in a dystopian future while an evil corporation is trying to take over the world with robots—but the work you have to do follows the same general blueprint: customers show up with a wide variety of demands, expectations and attitudes, and you have to try and give them what they want, when they want it. Part of your job is not only anticipating needs but anticipating problems, cleaning up messes for other people, and generally making sure nothing goes wrong. In Wedding Dash, you not only play the waitress tasked with seating guests in the ideal order and delivering the right food to picky eaters, but the wedding planner who needs to avert any potential catastrophes before the bride notices anything is wrong. In every game, as time goes on and more and more customers arrive, it gets harder to balance the workload. Fail to satisfy their demands quickly enough, and you'll find yourself facing a long line of angry customers with steam coming out of their ears. As in real life, this can feel paralyzing; when there are six different people simultaneously yelling for your your attention, it can be hard to know what to do first. But that's the whole point: It's about learning to multitask, and create more efficient ways to prioritize the right tasks and manage other people's expectations. While that might not sound fun, exactly, time management games are designed with a very smooth and deliberate learning curve that makes you feel challenged, and occasionally overwhelmed at times, but always like you can handle it in the end. Did your customers end up storming out, red-faced and furious, because you didn't serve them fast enough? Just play the level a few more times, and you'll be able to pick out the entitled executive who's a big tipper with a short temper, and serve him before the kindly old man who seems happy to wait all day. Soon enough, the screen will be festooned once again with hearts and praise. Although you can often hire additional help as time goes on, time management games still cater to a very specific and cathartic fantasy: the idea that you can do it all. It's a world where you can keep adding more and more to your plate—sometimes literally, as in Diner Dash—and still pull it all off with skill and panache. It's a superwoman fantasy, and one that feels all the more powerful for taking place in the most quotidian of settings. The reason I find these games soothing isn't because they simulate stress, but because they simulate the idea that it is manageable. They create a sense of expertise and earned control over a what feels like an initially overwhelming set of tasks, a feeling that might be particularly appealing for working women, who disproportionately bear the burden of housework and child-rearing even when they have full-time jobs. It's also hard not to see some of the real-life sexism that pervades so many industries reflected in the games, but from a distinctly feminine perspective. You're a woman, your friends are usually women, but the domineering corporate bosses from competing companies who try to undermine you, get you fired, or drive you out of business are almost always male. You defy them, of course, and leave them in the dust with your sheer excellence. Even when the games suggest that you have a more white collar job, the work you end up doing remains far more "pink collar." In the medical time management game Are You Alright?, you're told that you're a "famous doctor," and yet you seem to spend most of your time taking temperatures, running tests, and dispensing pills—jobs that would more realistically be done by a nurse. Other times you're presented not just as an entry-level worker but as an entrepreneur or small business owner, and even after you hire more help at your various stores, you never really seem to step back from the day-to-day work. Sally may own her spa—indeed, she may own a whole empire of spas across the globe—and yet she still spends a lot of time happily giving facials and manicures. That's because at their core, time management games are fundamentally about that type of work: the careful, efficient balancing of the many small but essential day-to-day tasks necessary to make businesses run, especially ones that focus on communication, care and service. Rather than advancing up the traditional ladder to a "superior" job, your character is simply rewarded more and more for improving at the work she's doing—the work she says she loves—with more money, success and prestige. At the end of each successful level, you're showered with increasingly large amounts of money, and told that you're told that your reputation is growing, that you're becoming more and more prominent and well-respected in your field. Your horizons become larger; your business expands; you travel the world to ply your craft—yes, even if you're a hairdresser or waitress. The fact that your character never has to step back from the work she enjoys in order to achieve wealth and success points to the deeper and more potent fantasy that these games offer: the fantasy of doing jobs typically reserved for women, while reaping rewards typically reserved for men. While these aren't the jobs that every woman wants—or should want—it's still a radical and powerful idea: treating stereotypically feminine work not as something to be escaped at all costs, but as something to be celebrated, valued and respected.